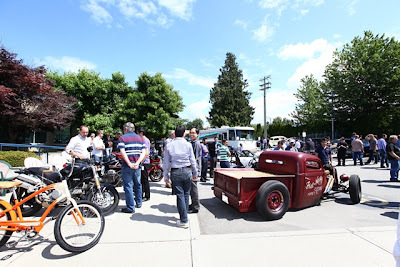 On July 11, Vancouver-based Westporters enjoyed the Westport World of Wheels, where staff had the chance to show off a huge variety of makes and models, and everyone enjoyed barbeque lunch for a real summertime show and shine. Westporters check out the fabulous wheels of colleagues. Who's driving this? A few years ago, several “car” folks connected and decided to bring their project or show vehicles to work on the same day to get together and admire them all. Today, it’s open to all wheels, be they on a car, truck, motorcycle, bicycle, or other form of transportation. This year, we even had a motorhome! 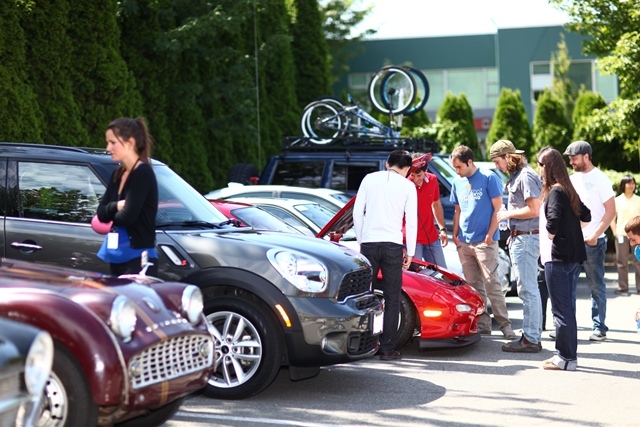 Show-goers admiring all the vehicles. The planning group includes Colin, who has been involved in the World of Wheels Show for all of past events. He brought his 1930 Model A sports coupe. 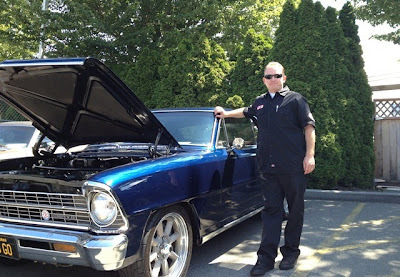 Bryan, not new to Westport but new to the Vancouver office, planned an event in LA to coincide with the Vancouver event a few years ago, but this is the first year he’s been in Vancouver to show off his ’67 Chevy Nova. Bryan with his '67 Chevy Nova - a prized possession of 14 years. 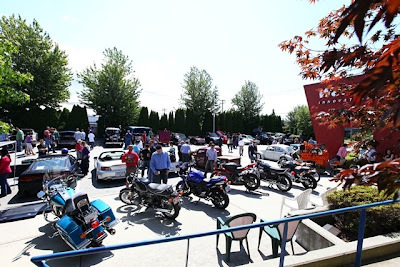 While the vehicles on display are mainly fuelled by gasoline (petrol) like many cars in North America (for now), the show-goers fuelled up on barbeque from the very popular wheels of White Spot Triple O’s food truck, hosted by Westport with lunch donation proceeds going to micro-loan organization Kiva. Westport supports individuals through Kiva by funding natural gas vehicle conversions to entrepreneurs around the globe. 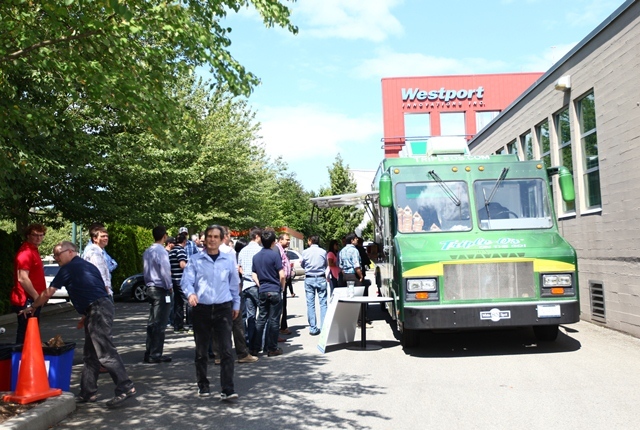 The White Spot's Triple O's food truck fuels hungry Westporters with tasty burgers. 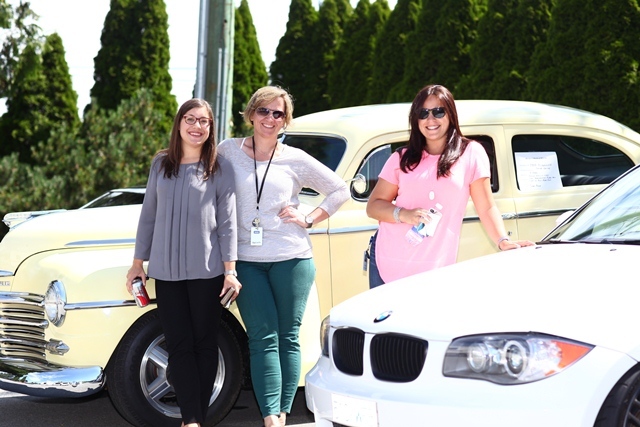 Workday show and shine, great lunch, and support for natural gas vehicles worldwide - a very pleasant way to spend your lunch hour. The real winners will be the recipients of loans through Kiva to purchase or convert to natural gas vehicles. Westporters enjoying the car show. Checking what's under the hood. 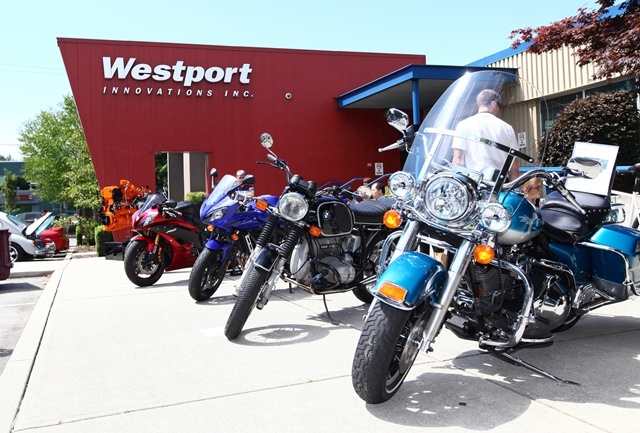 Oh yes, Westporters love their wheels – and their burgers too, apparently.